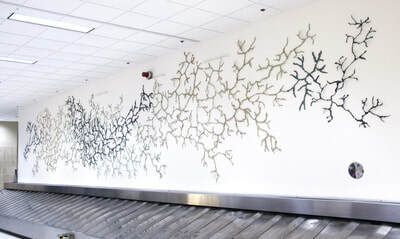 This installation inside the St. Louis Lambert International Airport beautifies and enriches the public space while educating viewers about the environment. 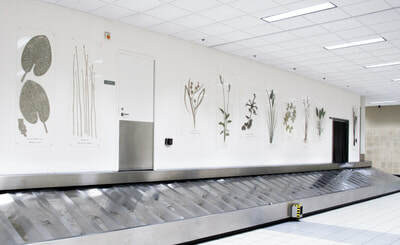 Installed at the center of a baggage carousel, the side of the installation first visible is a dynamic relief of blues and grays spidering, intersecting and tapering across most of the forty-foot wall. The design is an interpretation of the shape of the Lower Missouri River Watershed, the land just at the edge of the Airport. 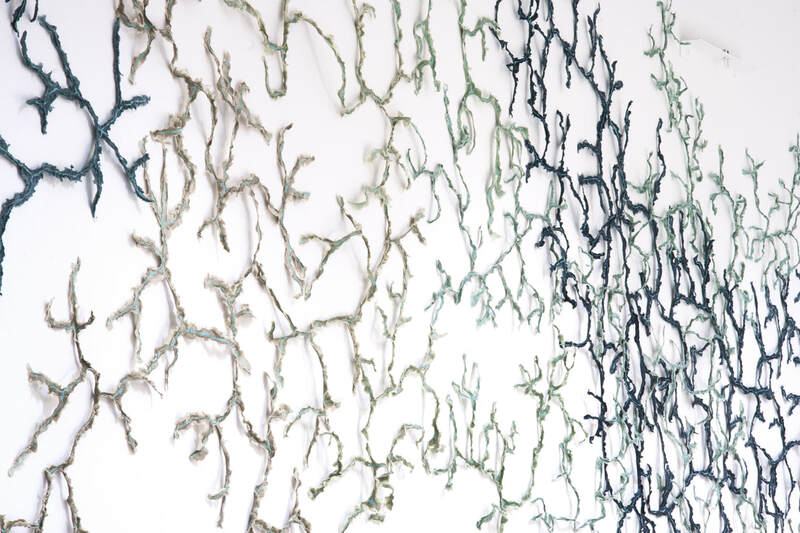 Singleton has drawn the lines of streams, creeks and rivers, not in paint, but in thick lines of paper pulp made from local plants; the unusual materials create a dimensional, meandering design. 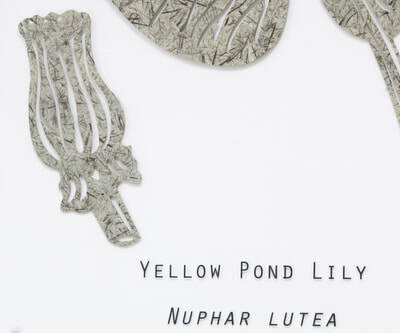 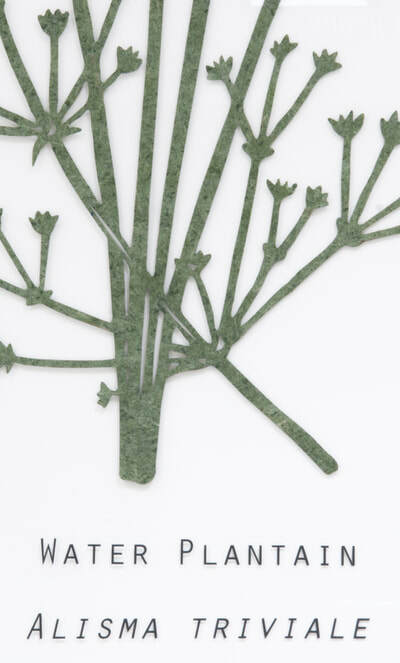 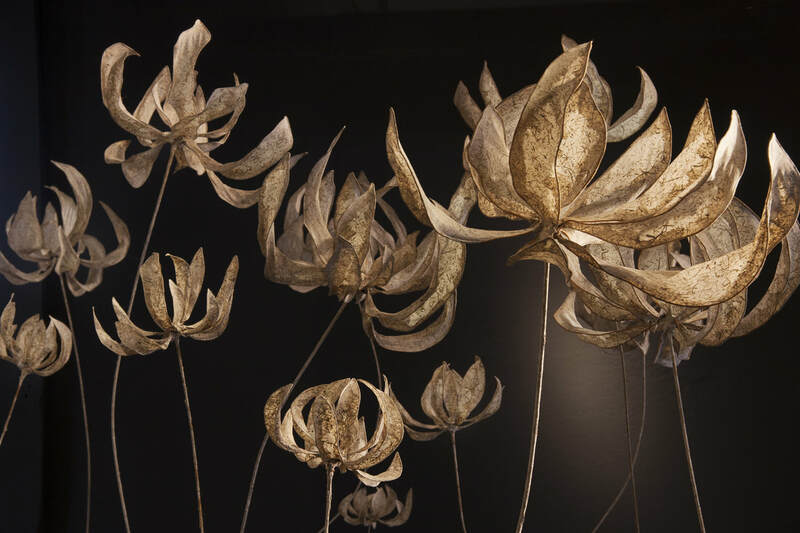 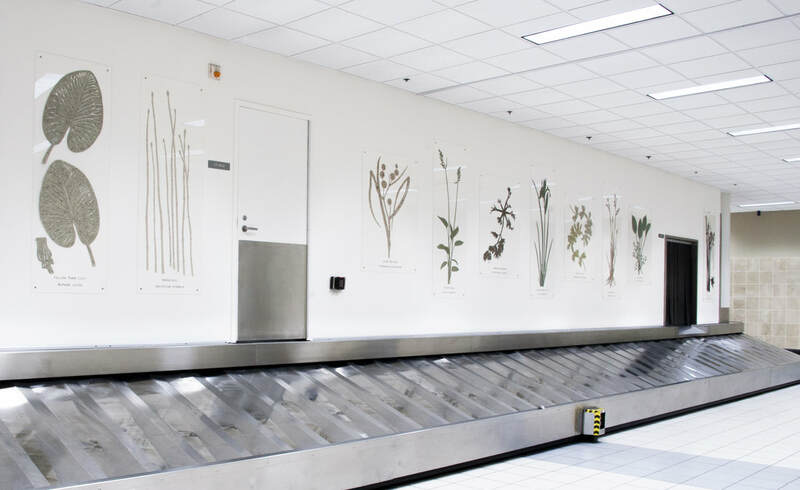 The artwork on the opposite side of the baggage carousel, presents a series of silhouette drawings of native Missouri aquatic plants, laser-cut out of paper made from the plant depicted in the image. Set behind panels of plexi-glass, Singleton details the features of each plant and its scientific name with the precision of a Victorian herbarium specimen. Singleton’s installation investigates the ecological relationships between society and the natural landscape. 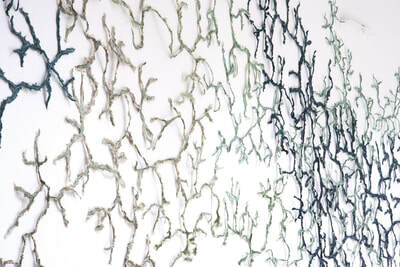 Mirrored in the patterns and shapes of plants and waterways is the movement of travelers gathering here from hundreds of locations and continuing on their way. 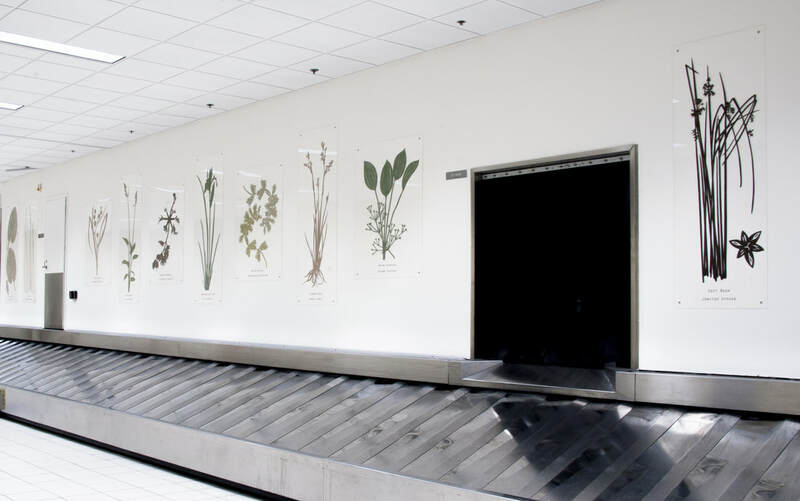 Through these connections, Singleton hopes to educate visitors waiting for their luggage about the environmental systems at work just below their feet and inspire communities to care for the growth and revitalization of their natural landscapes. The challenges of the space included the scale of walls, available working hours in a busy airport terminal, access to the walls over the wide, slanted carousel machine, and most importantly, creation of a design that would create interest among an extremely diverse group of people while competing with a hectic public environment.